Here is what Taryn-lee Kearney, the founder of Aha Training and Development, had to say about success and overcoming tough times in business. Success looks different for everyone. Success for me, is all about my love and passion for what I do, as well as my relationship with others and the impact I am making in this beautiful world. I truly considered myself successful, the day I realised that I can do anything I set my mind too and started believing in my abilities to make a greater impact on others’ lives and our world. I also believe success is something you need to work on daily and constantly strive for – always trying to be a better version of yourself than you were yesterday. There are many factors that I attribute to my success, but God and my faith in Him is the number one reason. The second factor is the people I surround myself with: my parents, husband, daughter, and my girl boss tribe. The next factors are my passion for continuously learning new things every day, my life experiences that taught me many lessons and being grateful for even the smallest things in my life as that keeps me grounded and positively focused. We all fail but it’s about picking yourself up and ensuring that the lessons you learnt from it only helps you to succeed in the long run. I will never forget this day – I double-booked myself for training. A company called me and asked me where I was. There was no confirmation of training but as a supplier I should have followed up and not just assumed it wasn’t going ahead. Needless to say, this taught me never to assume, always ask if not certain, and no matter who was at fault – take accountability and rectify it as quickly as possible. Last year I did a rebrand, and WOW – the day I received all my rebranded designs it just all came together – it was the best feeling ever. It was a new look that represented my core vision and mission for my company. Companies and corporates also started to take me seriously and my sales doubled in just six months. Brand has so much power. It is your first impression and we all know that in business it better be a lasting one. We all know that being a small business owner comes with highs and lows. We all get tough days where just a little doubt and uncertainty creeps in. The key is to know what helps you bounce back, what motivates you, where can you find inspiration and know what gives you the ‘Boomchakalaka’ to push on when the going gets tough. Reflecting back from when I started the business to now, this helps me realise how far I have come and the challenges I have overcome. Reading my testimonials over and over again of how my services have changed people’s lives. Going over my mission and vision for my business, this reminds me and gives me a sense of purpose and drive. Watch TED Talks, a platform where people share inspiring ideas that are worth sharing. Organise a date with my girl boss tribe, they always lift my spirits and support my business and me. Creating a morning ritual. I drink a delicious cup of coffee while listening to a chapter from an audio book (all business related of course). Even on the go, I try not to skip any meals and drink at least two litres of water. A healthy body = a healthy mind. Joining forums relevant to my industry and work towards being on the leadership committee. Approaching everyone and everything with high energy and a fun attitude. Surrounding myself around empowering business women who empower others. Giving back to others. It doesn’t have to be monetary but what I do is use my strengths to give value to others and help their businesses grow. Getting outside more. Nature and vitamin D is a great combo for the soul. I love to take my daughter to the park and go down the slide with her. Trying new experiences and activities. 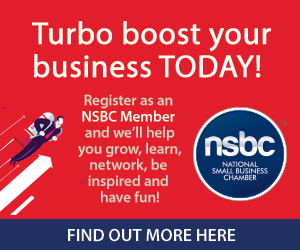 This can kick start your creativity and spark off some new awesome business ideas. My new challenge was to conquer a mountain (Mount Kili) to raise awareness for mental health and to break the stigma. Being a lifelong learner. I enrol myself in courses and workshops on a continuous basis for my self-improvement and growth. 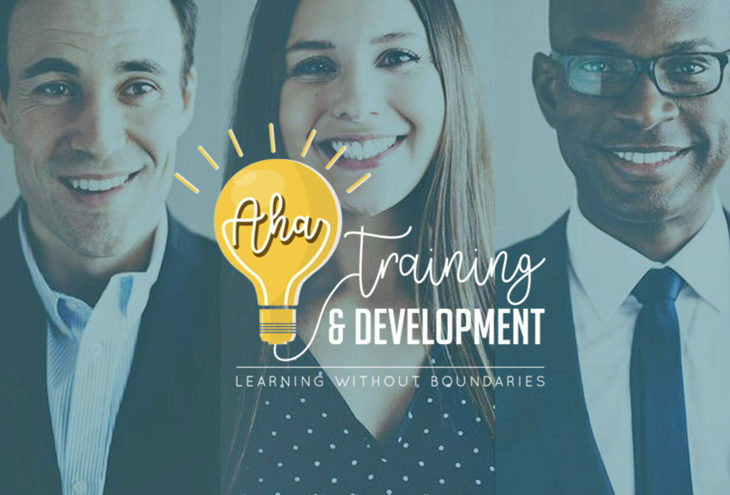 Well done, Aha Training and Development. We hope you will grow from strength to strength.